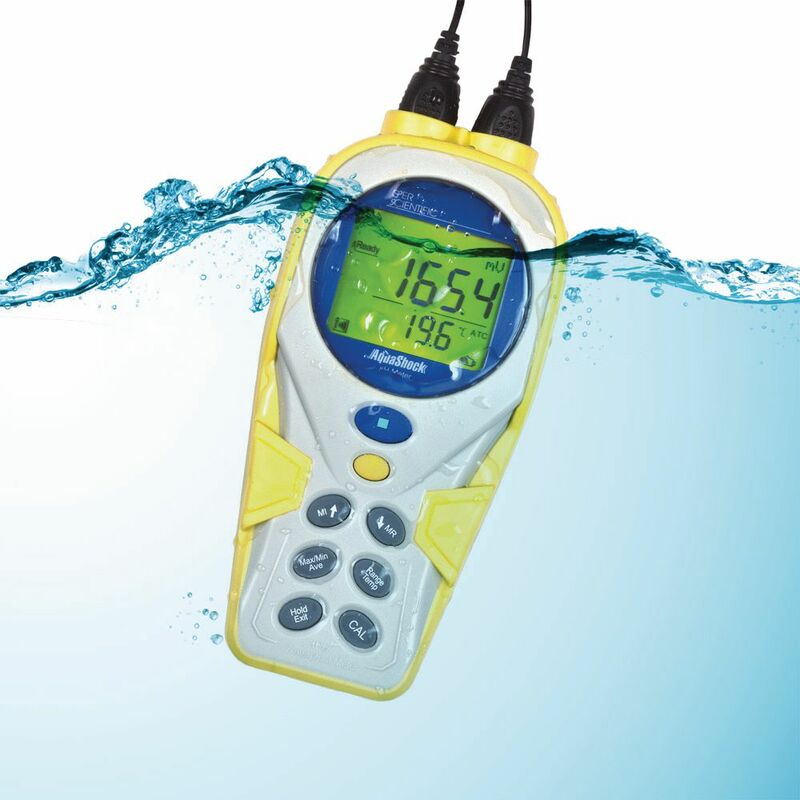 AquaShock® meters have been designed and tested to ensure accurate, reliable water quality measurement under any conditions. The integral soft-grip outer layer provides a firm grip, even in wet environments, and an anti-shock LCD, and other high-end components, further ensures that AquaShock® is fully shockproof. AquaShock® meters are also IP67 waterproof and will float if accidentally dropped in water. The screw-down probe connections are watertight when used with AquaShock® probes. When a waterproof connection is not needed, any BNC-connected probe can be used. 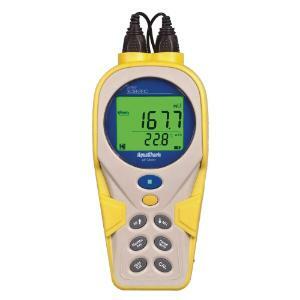 The latest high performance electronics give AquaShock® meters extremely stable and accurate readings. Results are easy to read, in any light, on the large LED backlit display. Powered by a long-lasting, environmentally friendly, rechargeable, Lithium-Ion battery. 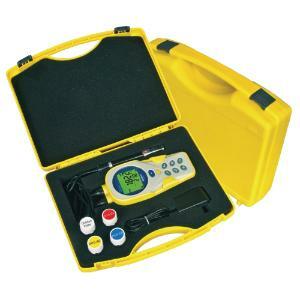 AquaShock® meters are very intuitive and include all the functions you will likely ever need, including: review of 99 memories (min/max/ave) directly on the meter’s display, internal clock and calendar, temperature in °C or °F, auto-ranging, automatic and manual temperature compensation, and hold. AquaShock® is virtually unbreakable, eliminating the inconvenience of frequent instrument repair or replacement for at least 5 years of interrupted, accurate, reliable use. The AquaShock® pH meter measures pH, mV and temperature, has 5 calibration points, automatic buffer recognition, and recalls electrode offset, slope and last calibration. Ordering information: Includes AquaShock® pH Meter 850057; AC adaptor; manual; warranty card; probe input covers; ATC pH probe (6 month warranty on the probe); pH 4.01, 6.86, 9.18 and deionized water; protective foam-lined hard-shell carrying case.